Singer Daddy Yankee is number one on Spotify and became the first Latino artist to lead the music platform. The Puerto Rican superstar of reggaeton has hits that include "Gasolina," ''Shaky Shaky" and "Despacito," a song co-written with Luis Fonsi. He's surpassed 44,735,586 monthly listeners to reach the first global spot, Spotify announced Sunday in an email sent to The Associated Press. 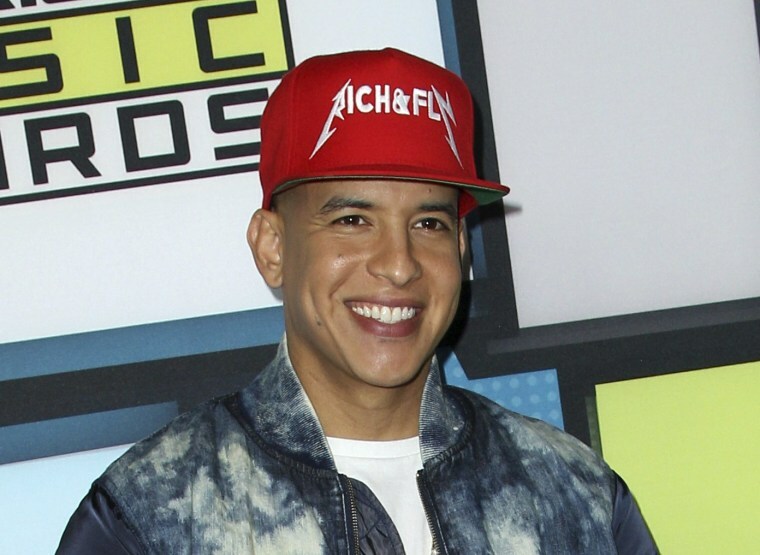 "Being the first Latin artist to reach #1 in Spotify marks a precedent not only for my career but for the industry in general," Daddy Yankee, whose real name is Ramón Luis Ayala Rodríguez, said in an email. "The musical digital revolution has unified the world and this is the proof. We are all in the same boat with no labels or stereotypes." He recalled that, when he started his career in 1992 in Puerto Rico, many didn't believe he would last more than three years, much less that he would become an international sensation. "But I never stopped," he said. "I had to keep fighting. I had to make big sacrifices, to miss important moments with my family, to feel the prejudice of many people that didn't open the doors for me." Rocio Guerrero, Spotify's head of Latin culture, shows & editorial says: "Spotify has been supporting Latin music for many years, and this is the moment that shows our passion and love for the genre are equally supported by our audience. We are grateful for all of our artists, and specifically for Daddy Yankee's influence in bringing global appreciation to Latin music." The remix to "Despacito," featuring additional vocals by Justin Bieber," is No. 1 on Spotify's global charts. More than a decade after Daddy Yankee's best-selling album, "Barrio Fino," and the single "Gasolina" that made him a global star, the Latin Grammy Award winner is still one of the most influential and recognizable names in reggaeton. "Today, this genre is the most listened to in the world," Daddy Yankee said. "Thanks to all the fans and colleagues that gave me the opportunity to collaborate with them. We did it!"